Hebden Bridge Arts Festival takes place annually in June and July and one of the sell out events, Hebden Shorts, inspired us to bring Made It Theatre into existence. In 2014 Stephen Dodwell entered his short play ‘Cary Grant is Interested’ into the competition to become part of that year’s programme and deservedly won a place amongst the six productions which were performed over three nights at the town’s Little Theatre. 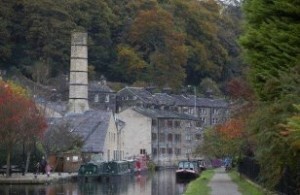 The evenings were so popular and so enjoyable that we all wanted to see more new writing being performed in Hebden Bridge and so Made It was born.